Sunpass.com is a part of the Florida Department of Transportation. Giant Concepts designers and engineers completely redesigned the frontend, activation wizard, and control panel interfaces. 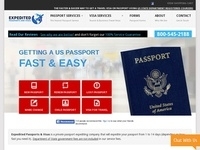 This was a high profile project for the State of Florida and it was well received from their customers. The design approval for this project involved signoffs from over 30 different people. 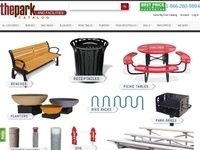 A new eCommerce company similar to our prior client, The Park & Facilities Catalog - built with new modern systems and with scale and automation in mind, there is little doubt that Park Warehouse will become a major Commercial Site Furnishings supplier. 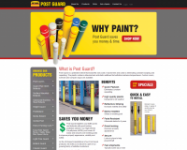 Post Guard is a leading manufacturer of bollard covers, post protectors and other such parking lot supplies. Giant Concepts provides Post Guard with eCommerce consulting as well as innovative search engine optimization strategies and paid search management. An INC 500 Retailer of outdoor commercial furniture products and site furnishings. Product lines include bleachers, benches, picnic tables, trash receptacles, storage lockers, dog park products and similar product. The scope of work is extremely broad but includes search engine optimization, paid search marketing management, alternate website creation, channel data management, product merchandising, business development and more. 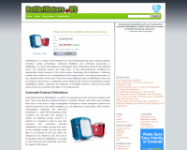 The informative authority website about Defibrillators - the life saving medical device that helps those in the event of cardiac arrest. Launched in February 2011 - The site is wildly popular on social media sites and was developed for maximum virility! The mosquito ringtone is a ringtone that is not usually audible to those over the age of 24. It is widely used by those that are younger to receive phone calls and text messages in situations where they don't want someone 'older' to hear them. 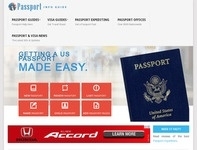 A complete and up to date information guide about US Passports - Including a complete listing of every acceptance agent passport office in the United States. The largest collection of outdated laws and stupid laws in the United States. Over 1000 laws have been reviewed and catagorized.